If you're on the lookout for a capable and economic truck that doesn't sacrifice your comfort, look no further than the RAM 1500. 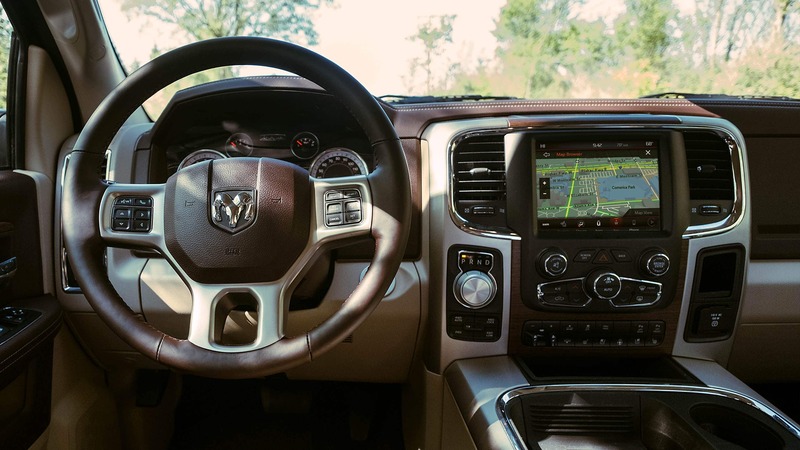 Over the years, RAM trucks have been celebrated for their powerful utility and their spacious, comfortable, and well-equipped interiors. In 2018, the RAM 1500 introduces a standard rearview camera, upgraded Uconnect technology, and an all-new available Limited Tungsten model, and continues to offer some of the features that RAM drivers have appreciated in past models, such as a fuel-efficient EcoDiesel engine and a standard eight-speed automatic transmission. Which RAM 1500 engine is right for me? 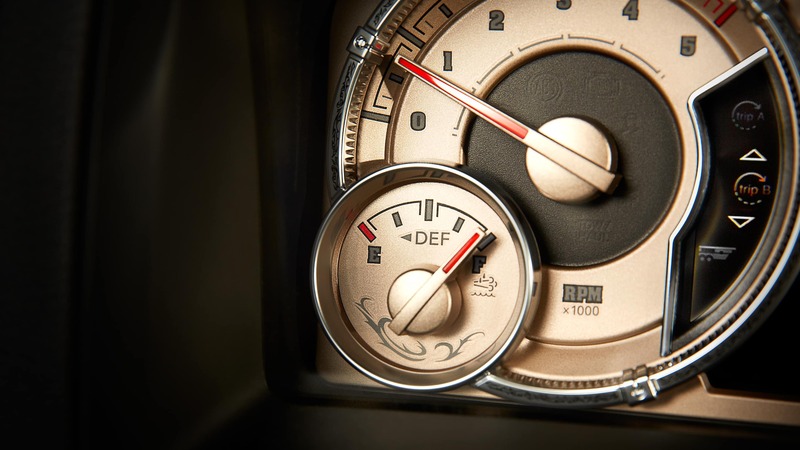 The RAM 1500 features three available engine choices, allowing drivers to prioritize capability, economy or fuel efficiency. The standard 3.6-liter gasoline V6 engine is the most wallet-friendly, coming standard with most of the lower-end trims. The most economical engine option, the gas V6 still puts out an impressive 305 horsepower and 269 pound-feet of torque, and achieves up to 25 miles per gallon on the highway. On the higher trims, a beefier 5.7-liter V8 is the standard gasoline engine, boasting 395 horsepower and 410 pound-feet of torque. The V8 provides the highest horsepower of the 1500's engine lineup, and maximizes the pickup's tow capacity. Properly equipped, a V8-driven 1500 can tow up to 10,640 pounds. Optional on most trims and standard on the HFE, a turbocharged 3.0-liter EcoDiesel V6 earns a best-in-class fuel efficiency of 29 miles per gallon on the highway. The EcoDiesel puts out 240 horsepower, as well as 420 lb-ft of torque, which is the most torque of any of the 1500's available engines. 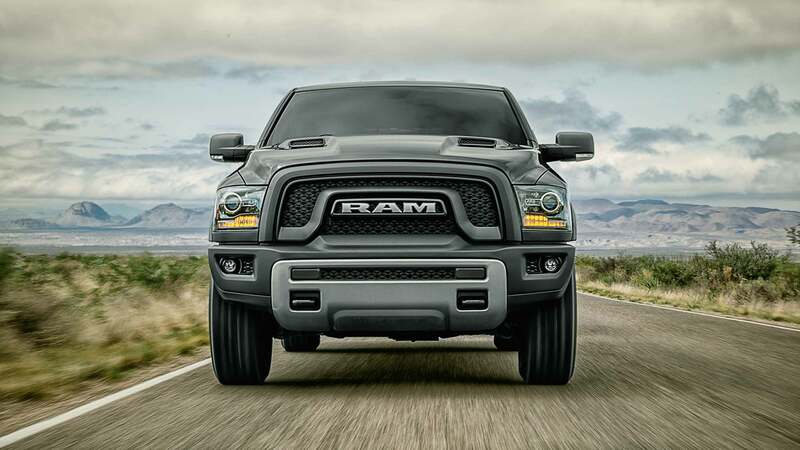 All of the RAM 1500's engines are paired with an eight-speed automatic transmission. What trim levels and body styles does the 2018 RAM 1500 come in? The 2018 RAM 1500 is offered in 11 trim levels and five body configurations. 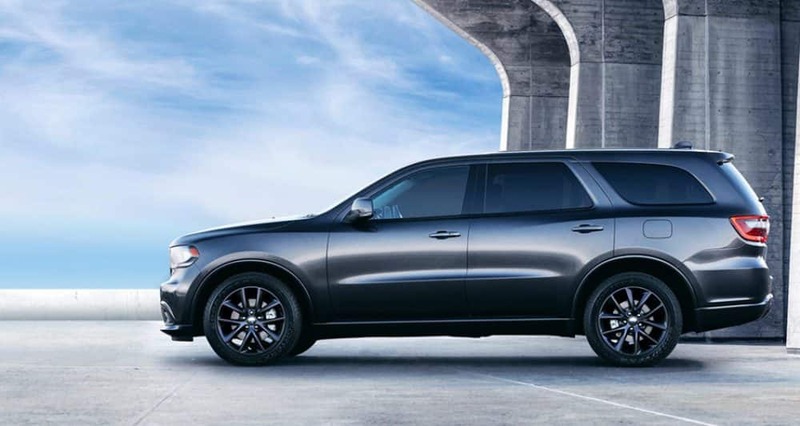 Starting with the base Tradesman trim, the increasing trims add on upgraded interior materials and features, and some are designed with specific sets of features to improve performance is a particular area. The off-road-oriented Rebel trim (only available in the crew cab, 5-foot-7-inch bed configuration) features all-terrain tires, front and rear Bilstein shock absorbers, projector-style headlights and more. The HFE (high fuel economy) trim comes standard with the 1500's most efficient engine, the EcoDiesel, as well as automatic engine start-stop. In 2018, several special edition models and sub trims are also available, including the super luxurious Limited Tungsten, the work-ready and farm-oriented Harvest Edition, and the Sublime Green Sport appearance. While some trims are only available in specific configurations, there are five configuration options all in all. The Regular Cab can be paired with an 8-ft bed or a 6-ft, 4-in bed; the larger Crew Cab can be designated with either the 6-ft, 4-inch bed or a 5-ft, 7-in bed; and the Quad Cab is only available with the 6-ft, 4-in bed. What is the RAM 1500's interior like? 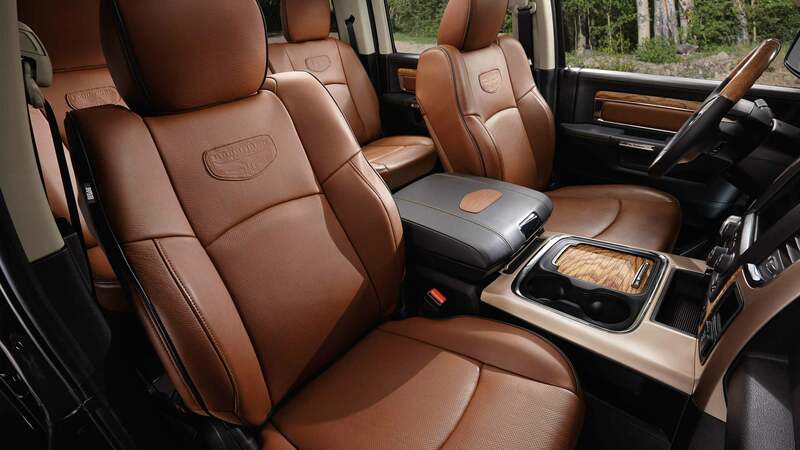 In addition to rugged capability and impressive versatility, RAM trucks are celebrated for their quality, comfortable interiors. 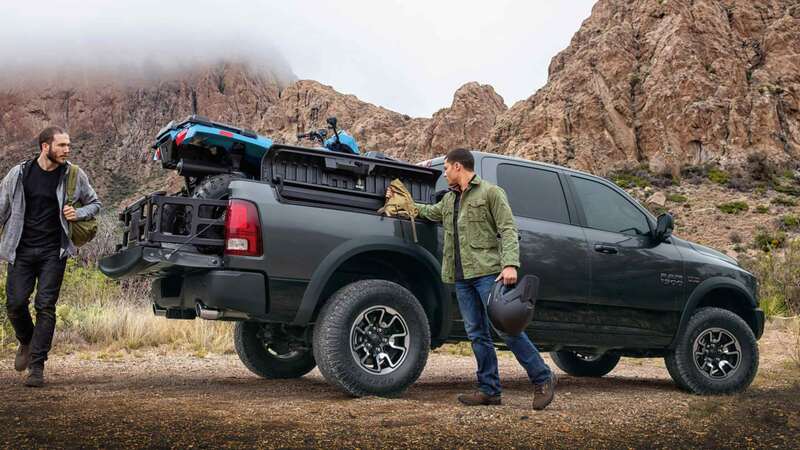 Even the base Tradesman trim is outfitted with air conditioning, cruise control, six-speaker audio with USB and auxiliary connectivity and more. Moving up through the trims, additional interior features are included, and drivers and passengers will enjoy amenities such as remote keyless entry, two gloveboxes, a 5 or 8.4-inch touchscreen interface, Bluetooth, a leather-wrapped steering wheel, satellite radio, leather upholstery, wood interior trim and more. For maximum luxury, the special edition Limited Tungsten offers real wood interior trim, light beige leather upholstery with unique blue accents (or an optional all-black leather interior), Apple CarPlay and Android Auto. The Limited Tungsten also includes some top-notch exterior features, such as a chrome grille and exterior accents, body-color running boards, and an exclusive tailgate. If you spend long days working in and out of your pickup, you'll know how important it is to love every single aspect of your truck. For a light-duty pickup that emphasizes capability, fuel efficiency, driver and passenger comfort, and style inside and out, turn to the 2018 RAM 1500. 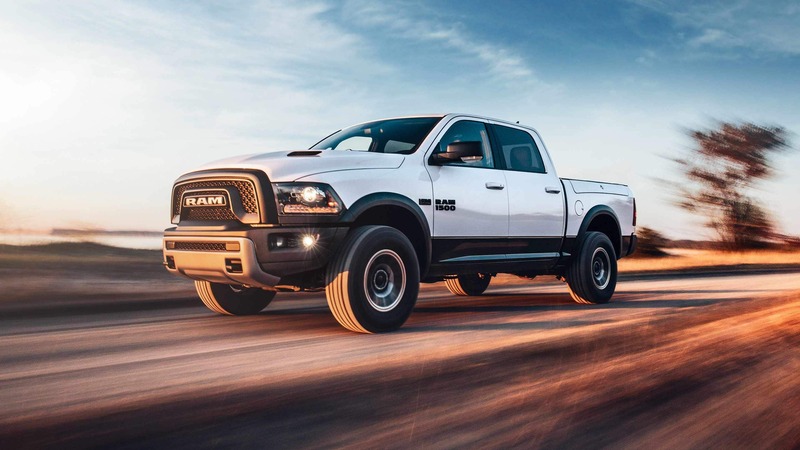 With a capable engine lineup, a best-in-class fuel economy, and an array of enviable interior and exterior features, the RAM 1500 is a perfect choice for someone who wants a pickup that can get the job done and look good while doing it.